H2B2’s small scale electrolysers are able to produce hydrogen from 0.5 to 10 Nm3/h. They are optimal for small consumers: laboratories, residential, small fleets, etc. These systems are simply integrated in a cabinet. H2B2’s electrolysers are certified and developed according to European or American (depending on customer geography) codes and standards. H2B2 supplies electrolysers with CE marking and, if necessary, ETL stamp (priced separately), as well as required safety studies (HAZOP by default). H2B2’s medium scale of electrolysers are able to supply hydrogen from 10 to 95 Nm3/h. 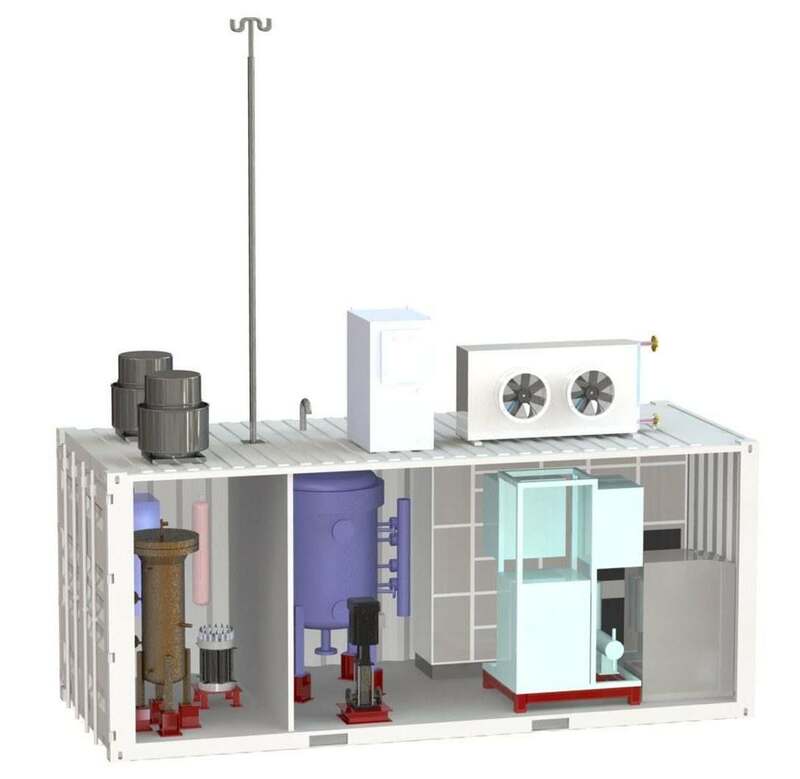 These systems are integrated in a container. 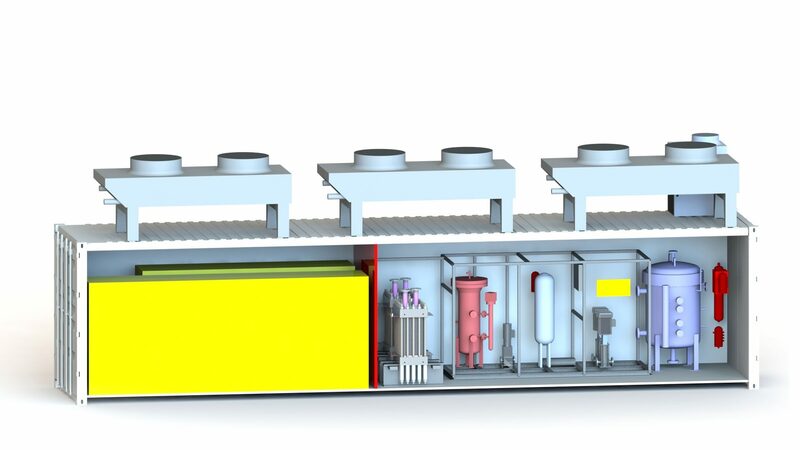 H2B2’s largest-size of electrolysers are able to supply hydrogen from 120 to 400 Nm3/h. 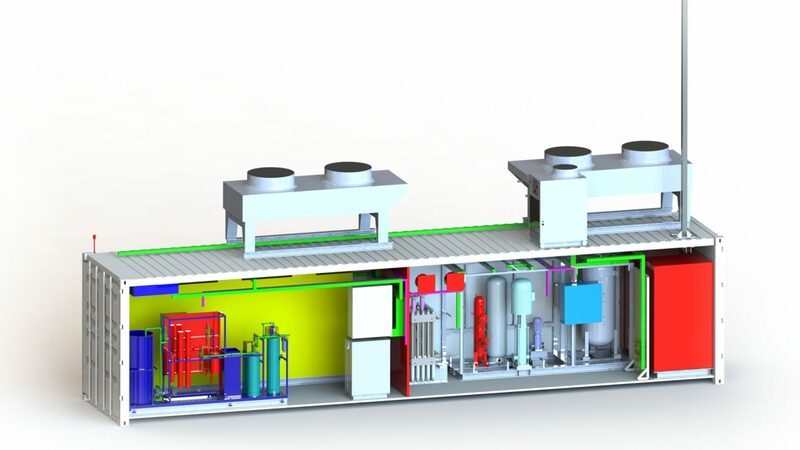 These systems are integrated into a 40-foot container. With a 207 Nm3 H2/h (446.62 kg H2/day) hydrogen production, allows affordable multi-MW solutions. With a 415.80 Nm3 H2/h (897.13 kg H2/day) hydrogen production, allows affordable multi-MW solutions.